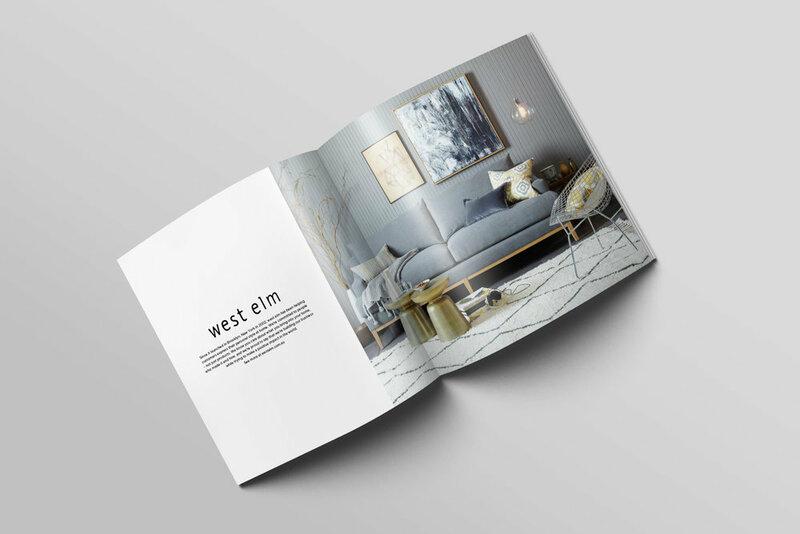 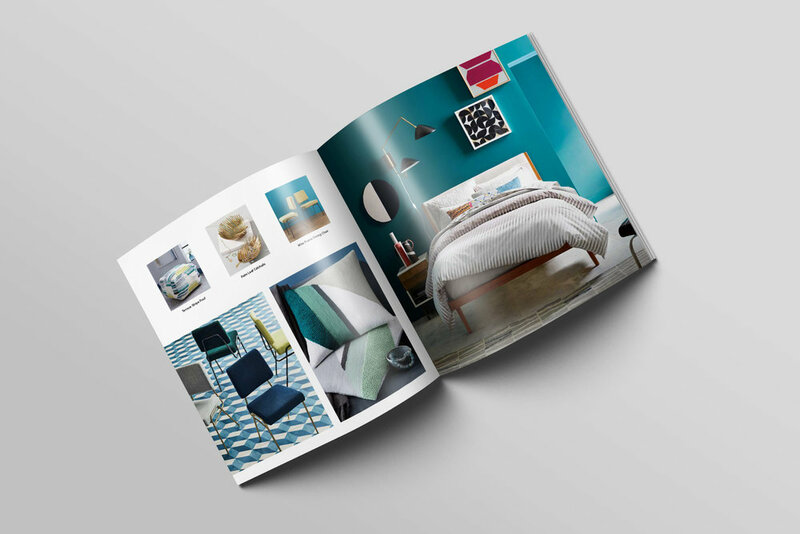 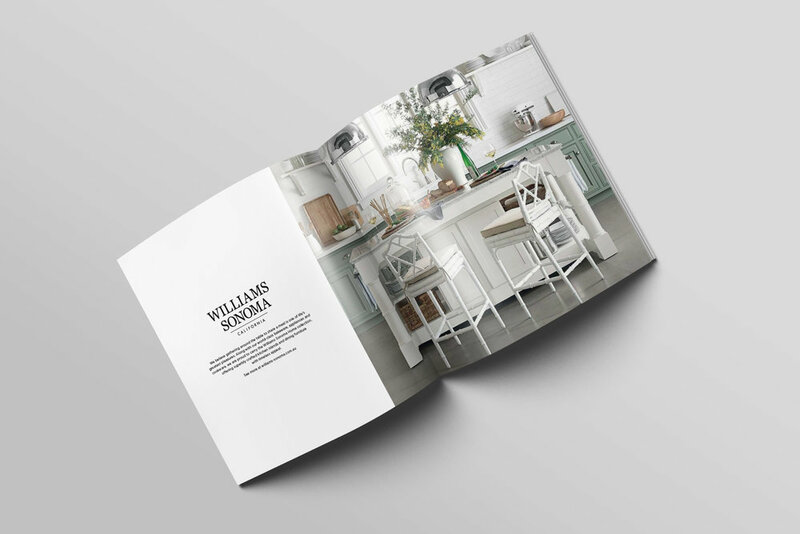 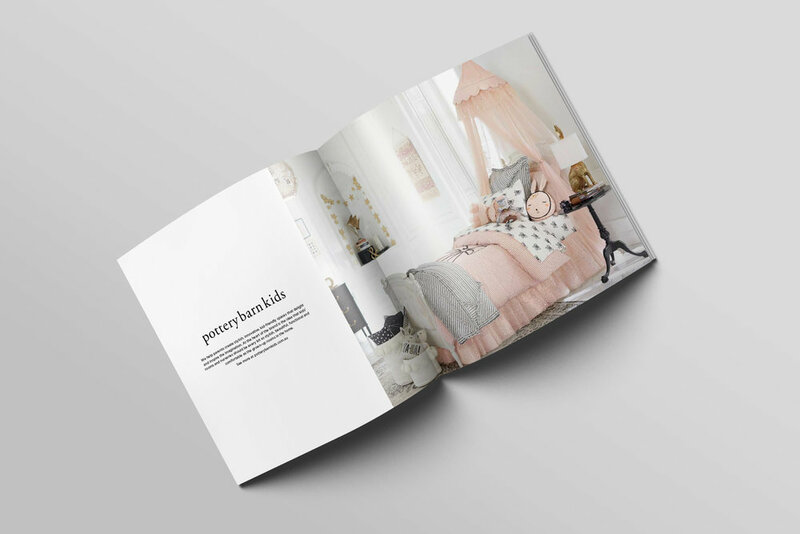 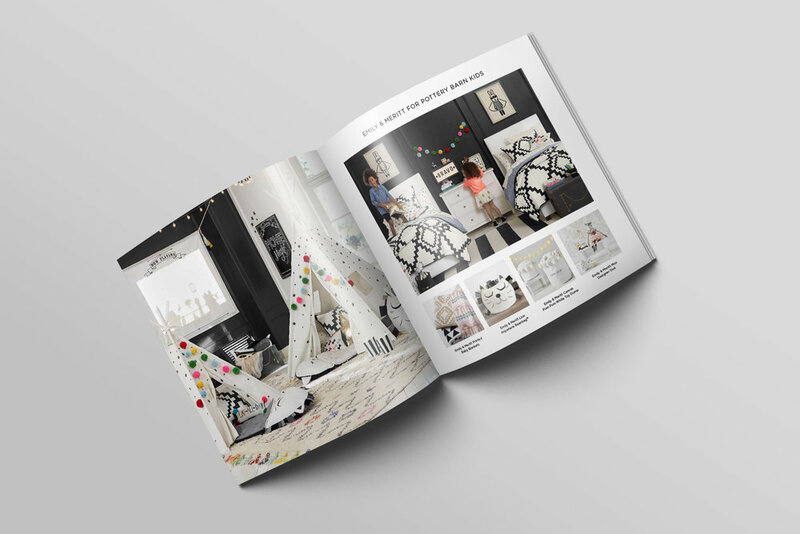 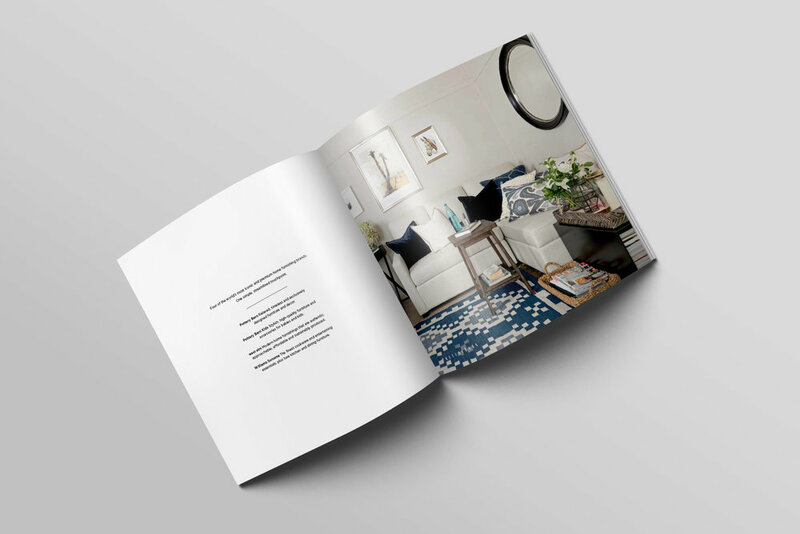 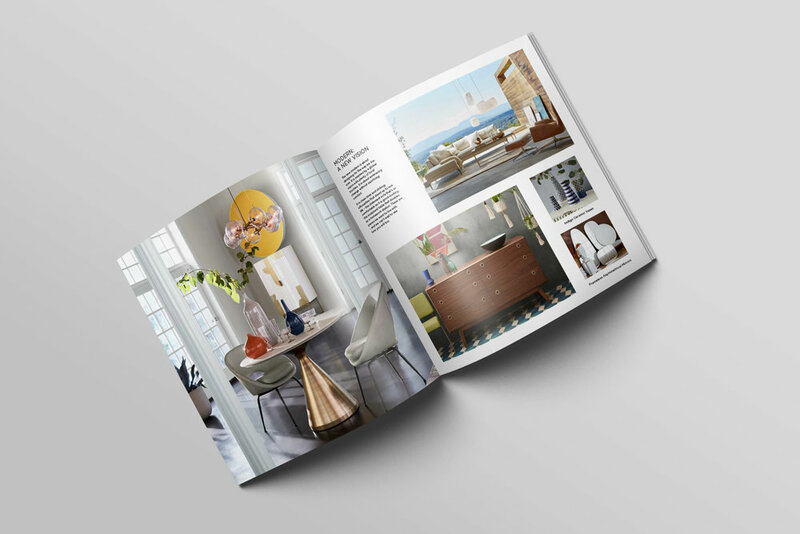 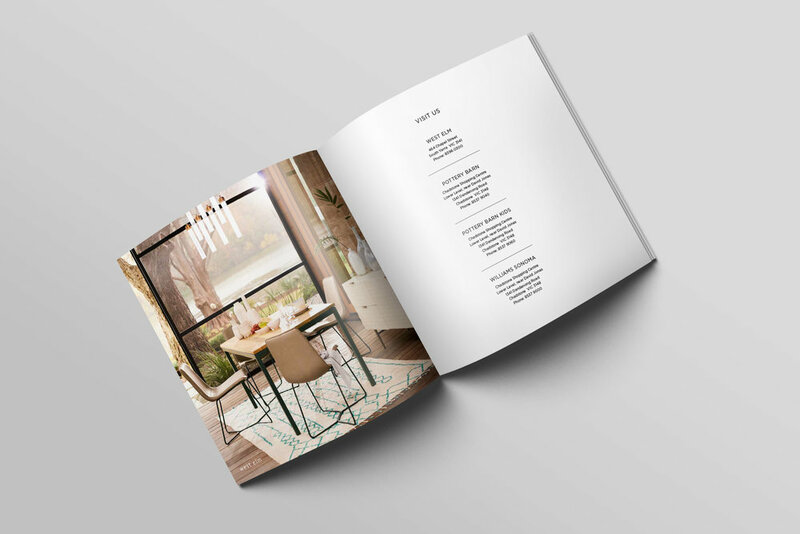 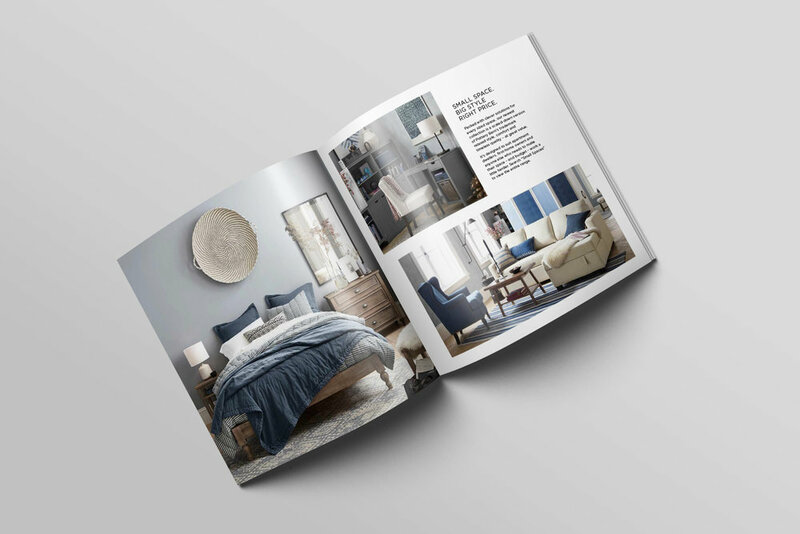 During my time at Williams-Sonoma, we as the design team were entrusted with creating a custom catalogue detailing the product lines new to the market for the contestants on The Block. 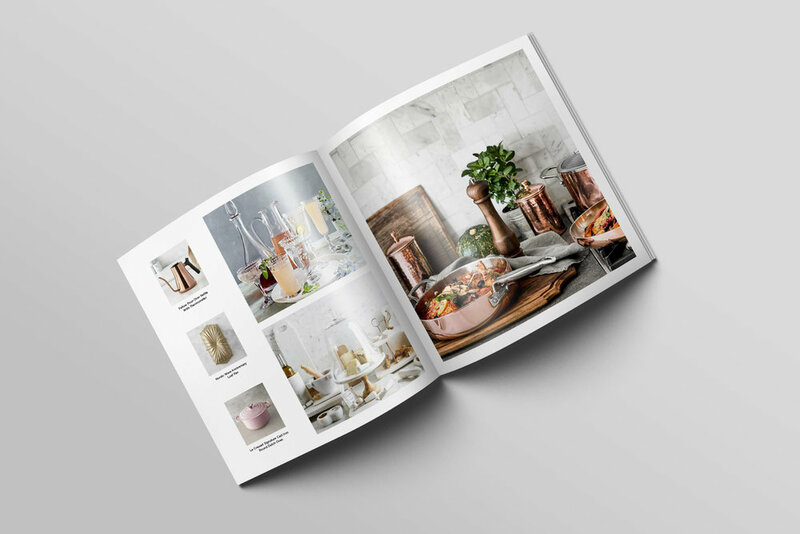 The aim was to inspire their product selections and the styling for their rooms while also telling the story of the four brands housed under the Williams-Sonoma banner. 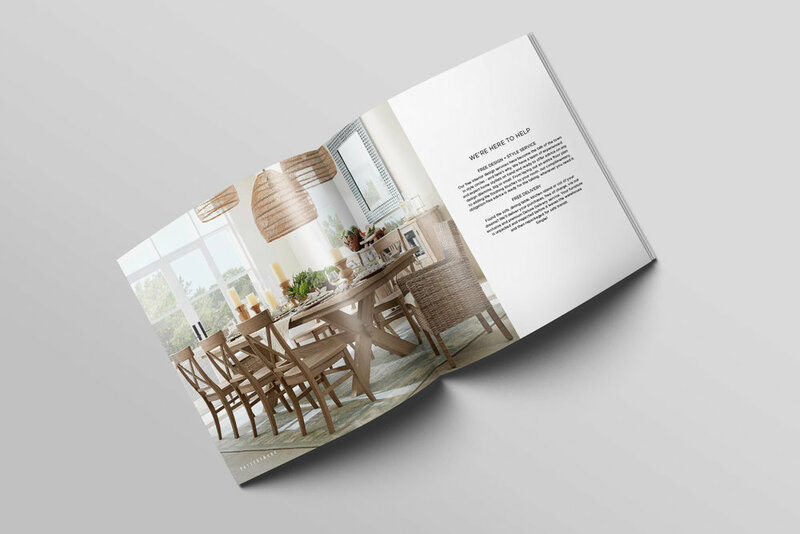 We made use of the limited space by detailing images in full, calling out main products for each brand. 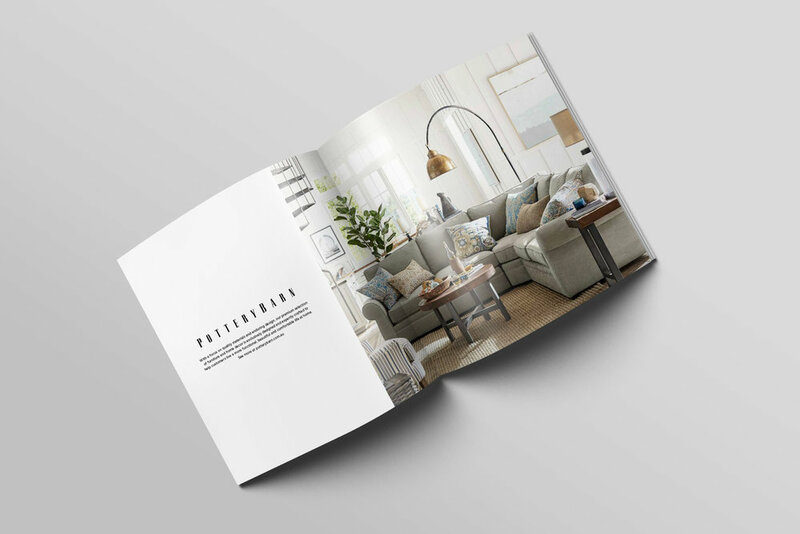 We also had a title page for each brand to explain their look and feel.